I’ve posted the Zwicky Cat image before, and about Brun. 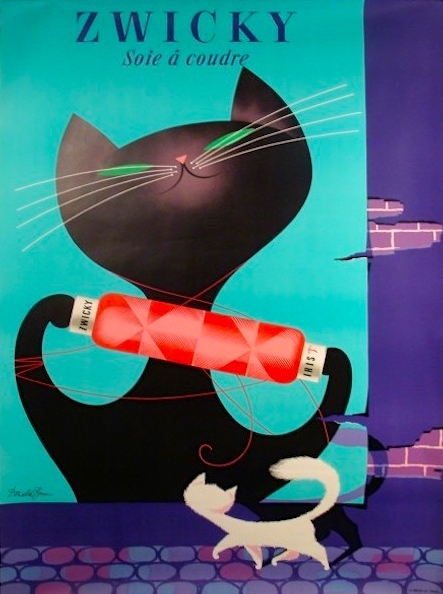 To come here: about the source of the framed poster (the Wee Blue Coo company in Edinburgh); about the fuller version of the poster, in which a cat may look at a cat icon (as Kurniau seems to be doing above); and about another entertaining Brun poster that I came across while searching for a copy of the two-cat version of the Zwicky silk thread poster. While writing up material about Zwickys and Switzerland, Kim Darnell happened upon a extraordinary sale offer on digital copies of the Brun poster, and so here we are. 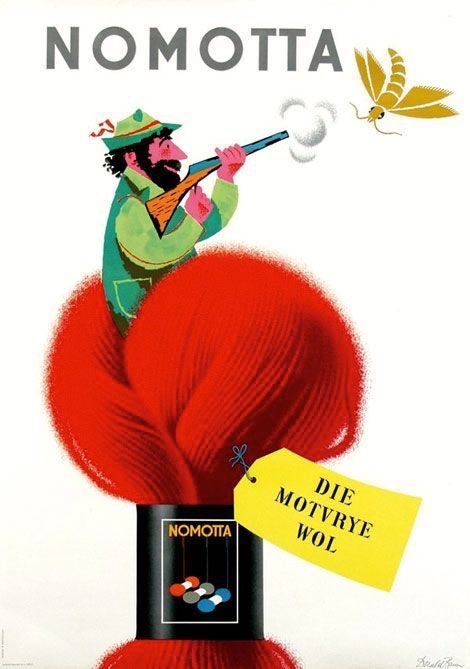 Nomotta appears to be a brand name, for yarn/wool, presumably, and that appears to an Alpine huntsman shooting down a four-winged creature. Ah, Nomotta is a playful invention: ‘no moth’. So if you’re into working with yarn (and can read Dutch, or at least piece it out), you’ll appreciate the poster in #4. 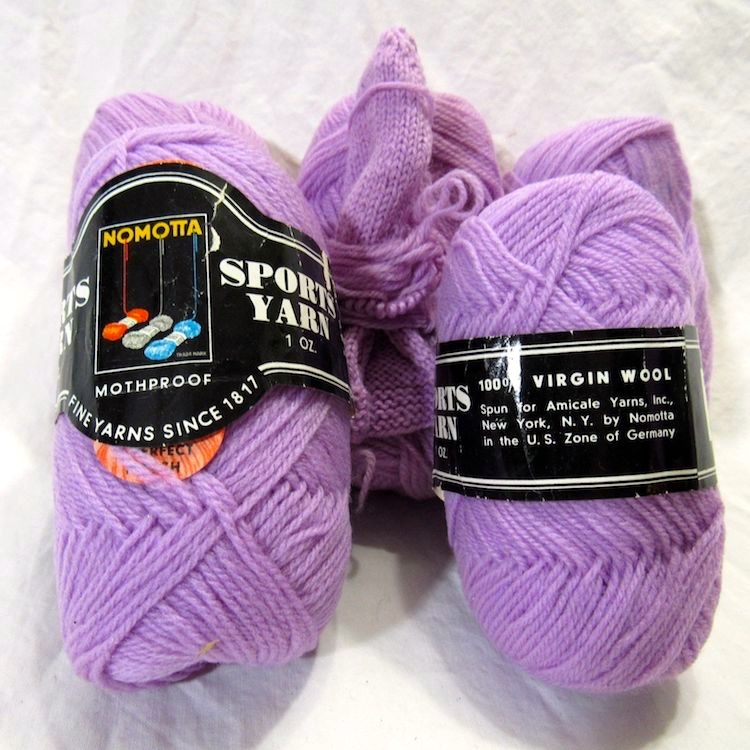 In fact, even after all that labor expended in understanding #4, I still found it funny (and I’m not a yarn person). What remained was discovering where the Schachenmayr firm is located. It seems that Schachenmayr is now just a brand name of the textile division of MEZ Crafts, a division headquartered in Herbolzheim, Baden-Württemberg, Germany, and that this was formerly the European Crafts division of British Coats PLC Group. Another trip into the ever-shifting wonderland of business ownership and management. Apparently the stuff is no longer made, so if you want some, you have to search for on-line sources. This entry was posted on July 15, 2018 at 7:32 pm and is filed under Art, Dutch, Trade names, Zwickys. You can follow any responses to this entry through the RSS 2.0 feed. You can leave a response, or trackback from your own site.